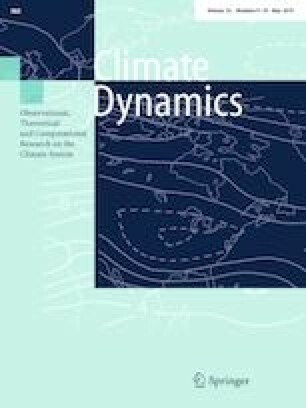 The aim of this study is to examine the capability of reanalyses in capturing the temporal clustering of heavy precipitation over Europe. We focus on four widely used products: the National Aeronautics and Space Administration’s Modern Era Retrospective-Analysis for Research and Applications (MERRA) and version 2 (MERRA2); European Centre for Medium-Range Weather Forecasts’ ERA-Interim; Japanese Meteorological Agency’s Japanese 55-year Reanalysis (JRA-55). We define as heavy precipitation days those exceeding the 95th percentile of the precipitation distribution at every pixel, and investigate the temporal clustering in these events with respect to the Arctic Oscillation (AO) or the North Atlantic Oscillation (NAO). We evaluate the performance of these datasets in reproducing the temporal clustering in the observations using Cox regression. The results of this work indicate that: (1) heavy precipitation events over Europe exhibit temporal clustering; (2) all of the reanalysis products we have considered are capable of well reproducing the temporal clustering exhibited by the observations, and in general JRA-55 performs the best; moreover, our findings indicate that MERRA2 performs better than its predecessor MERRA in representing the relationship between heavy precipitation and these two climate indices; (3) all the reanalysis products in general tend to agree in terms of the temporal variability of NAO/AO. The online version of this article ( https://doi.org/10.1007/s00382-019-04742-z) contains supplementary material, which is available to authorized users. This material is based upon work supported by the National Science Foundation under CAREER Grant AGS-1349827. The authors thank Dr. Wei Zhang and three anonymous reviewers for insightful comments and suggestions on an earlier version of this study.